Applied manufactures a standard line of roof systems designed to meet the needs of the entertainment industry. 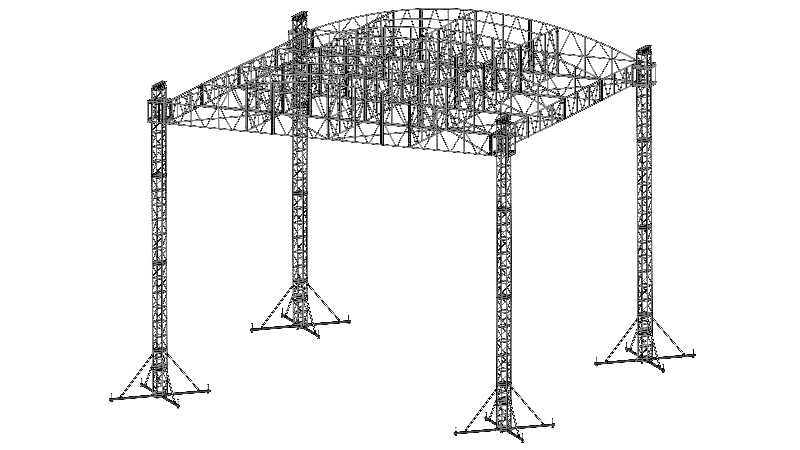 Our structures comply with ANSI E1.21-2013, Entertainment Technology-Temporary Structures Used for Technical Production of Outdoor Entertainment. 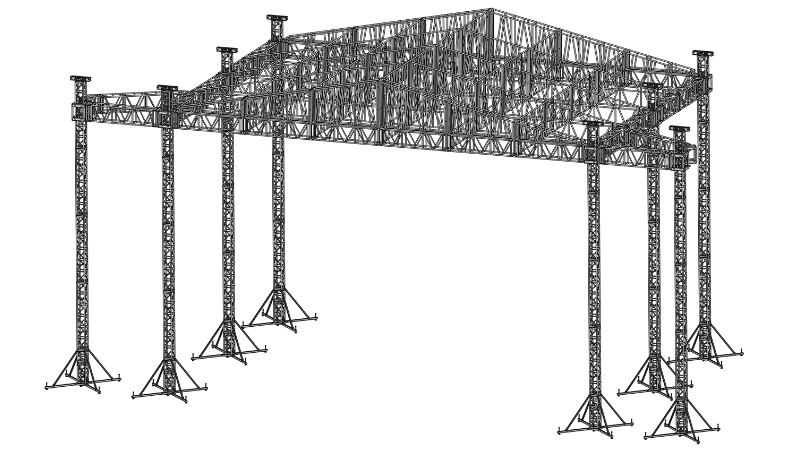 If your project requires a custom structure, Applied will design and build to this standard. All of our roof systems are engineered by a third-party firm, have a high wind action plan and an operations management plan. Whether it’s a small festival, stadium production or somewhere in between, Applied has the Roof System you need for your production. The 30’ x 30’ hand winch systems are not only budget friendly but also user friendly. While using hand winches to raise the grid, the structure also utilizes our standard 12” x 12” heavy duty tower truss. This allows for future upgrades to an electric chain motor system without replacing the towers. The 40′ x 40′ load bearing arched roof system is designed with four 12″ heavy duty towers at 35′ tall. This structure requires the use an electric chain motor control system to raise the grid. Optional sound wings are available by adding two additional towers. The 45′ x 45′ peaked roof system is designed with four 16″ heavy duty towers at 35′ tall. This structure requires the use an electric chain motor control system to raise the grid. Optional sound wings are available by adding two additional towers. The 65’ x 45’ peaked roof system is the largest of the Applied standard roof systems. With the capability of standing 45’ tall on 16” heavy duty towers this structure is unmatched in capability vs. cost in the entertainment structures market. 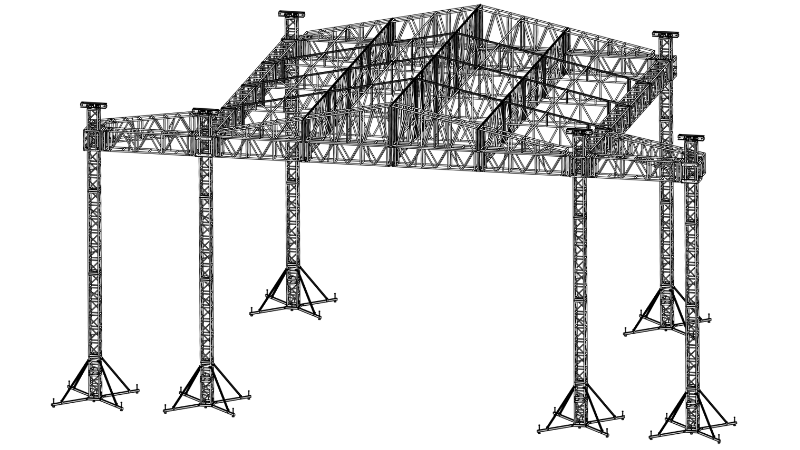 In the event one of our popular roof structures does not fit your production requirements, our skilled and experienced design team will work with you to create the perfect solution. 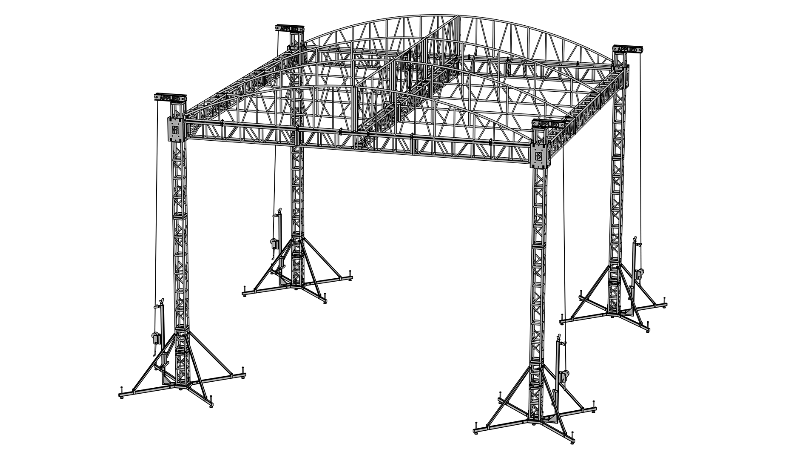 As with all Applied structures, you will receive engineering data including an operations management plan for your custom roof once the design and application are finalized.